Another cabin, another group of friends and another malevolent force. These are some of the plot elements that repeat in indie horror films. Thankfully, first time director Travis Oates offers a little bit of mystery, in Don't Blink. This time, ten friends find themselves dealing with an invisible force. 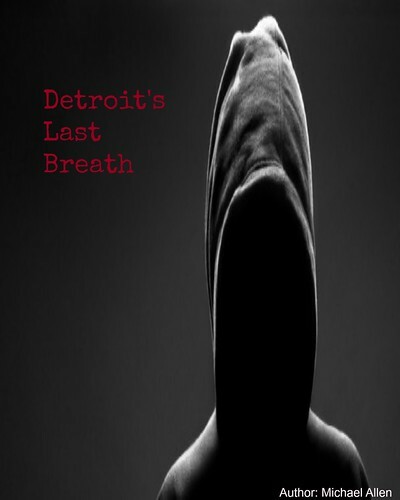 This entity likes to torment the characters, while making some disappear. Oates' story offers a lot of mystery. Who is the force? And, where are the characters disappearing to? Only one of these questions can be answered; the rest is up to the viewer. Though often slow and slightly drawn out, Don't Blink brings a lot of intrigue during its ninety minute run. The story begins at a remote ranch. Here, the friends unpack, while noticing strange articles of clothing. It seems like several other guests have just disappeared. Food is served, baths are drawn, but everyone is missing. The friends are only slightly unsettled, until one of their own disappears into thin air. Where did the person go? The character Noah (David de Lautour) might know. However, there are no real concrete answers here as more and more characters vanish. This duo is destined for oblivion. The unseen villain shows a few human characteristics. It is smart. The malefactor captures many of the previous characters, while leaving one character alive. Noah is the sole survivor of the previous round of disappearances. His presence puts the rest of the group at ease, until a second round of disappearances takes place. Even in the second round of vanishings, one character remains. It would seem the entity is intelligent enough to leave one character alive, to draw more people to the location. The cycle continues. Perhaps, this villain might be held to this one location; it is difficult to tell. As well, one character knows when she will disappear. How could she know this? Charlotte (Samantha Jacober) must have been communicating with this supernatural presence, unless she is a very good guesser. Charlotte disappears one scene later. So, it would seem that this force has consciousness, but it does not have a physical form. It is difficult to say more as Oates keeps other details in mystery. And, Don't Blink is more of a mystery, than a typical horror film. Horror often brings a physical threat into the mix. Then, the bloodshed begins. This is not the case with this film. Instead, the characters are challenged with uncovering the presence's identity and its intentions. Unfortunately, there are only a few clues to be discovered. Mysteries are often unravelled in the ending. However, the ending here is open. Viewers will have to bring their own impressions to the film. Don't Blink is a supernatural mystery, which will leave most people guessing. As a critique, the film is slowly paced; but, the acting is top notch. Events in the film do not kick into high gear until the Act III. Acts I and II are used to develop the characters and to introduce viewers to the mystery, at hand. There is little tension, nor thrills in these two earlier acts. In Act III, the character Alex, played by Zack Ward, asks a few existential questions. What responsibility do you have to your fellow man, if you will simply disappear in the next hour or two? Hedonism only lasts so long for Alex, though. A few scenes of torture and a few threats help amp up the film's intensity in the later parts. As well, the acting is well done. Many of the characters are developed only minimally. Yet, each of the actors utilizes their time onscreen. The dialogue is delivered with impetus and emotions are shown in a clear way. Overall, the film elements in this outing are developed in an excellent fashion. 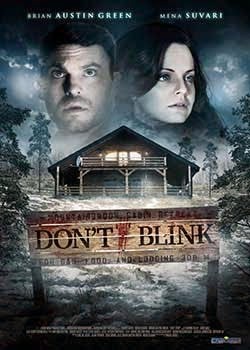 Don't Blink has already been released (September 18th) and most film fans will find some enjoyment here. The film builds slowly, but there is a payoff in the final act. Story developments are never fully revealed. Still, viewers can take their best guess at what is happening. Your imagination is free to roam in this feature. Don't Blink is definitely an independent outing. Settings are minimal and complex scenes are minimized. The film still manages to utilize its story to tell a tale tale, of a strange presence. That presence persists late into the picture and it will leave lots of questions unanswered, which makes the film worth a second watch.